31162 CSTPER003.jpg 500X638\CSTPER003.jpg 31163 CSTPER003_2.jpg 500X638\CSTPER003_2.jpg 31164 CSTPER003_3.jpg 500X638\CSTPER003_3.jpg 31165 CSTPER003_5.jpg 500X638\CSTPER003_5.jpg 31166 CSTPER003_6.jpg 500X638\CSTPER003_6.jpg Send A Hint! 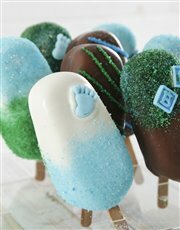 Product Description: less text Celebrate the new baby boy with these unique cakes on a stick! 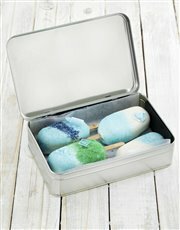 Four lolly shaped vanilla sponge cakes on a stick are dipped in a white and milk chocolate topping and decorated with coloured sugar and baby decorations. 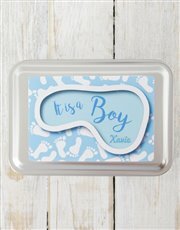 These delicious treats are then packed into a cookie tin which is personalised with a cute 'It's a Boy' sticker with the lucky recipient's name for that special touch. Send now! Allergens: wheat, gluten, cow's milk, egg and dairy. All our products are Halaal. 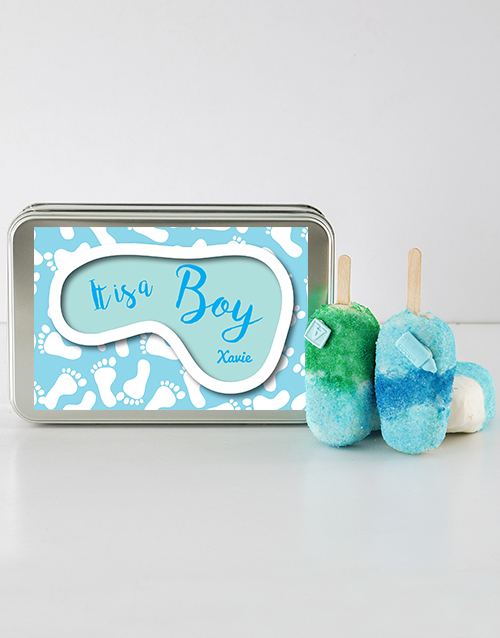 Get this Baby Boy Cakes On A Stick In A Personalised Tin delivered with NetFlorist.